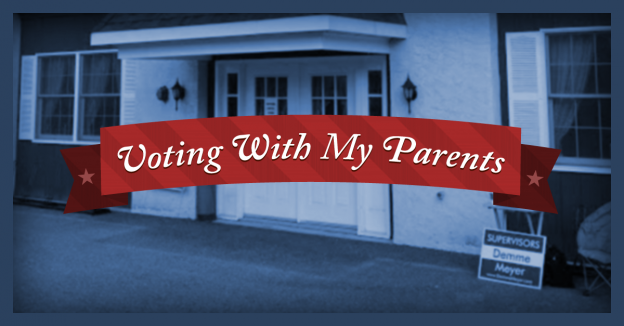 I recently completed a new series of blog posts on Parental Engagement and civic engagement. You can read the entire series over at the Demme Learning Blog. In the 2012 presidential election, only 57% of the eligible adult population voted. To put it another way, a little less than half of the adults in the United States didn’t vote to decide who should be the leader of our country. Of course, statistical research also shows that there is a large amount of people who only vote in presidential elections and not in local, state, and even federal congressional elections. One of the most common reasons cited for not voting is that people believe their vote doesn’t really matter anyway. My parents are regular voters. When I was growing up, my parents would take me and my brothers along with them when they voted. I remember the old-fashioned lever voting machines in the booths. Going with my parents to vote and seeing them engaged in the political process played a very significant role in my life. I learned from an early age that it is a responsibility and not just an opportunity to help choose our leaders. In 2008, a multitude of young people became actively engaged in the presidential election. Barack Obama leveraged the incredible power of social media to reach out directly to the voters and this in turn started trends like the micro campaign donations that played a part in funding his campaign. More importantly than the funding of the campaign itself, those micro donations signaled that people — the millennial generation in particular — felt connected and empowered. When the Frenchman Alexis de Tocqueville visited America in 1831, he was impressed with the level of civic engagement he saw among the American people. In his book, Democracy in America, Tocqueville often mentions his respect for the political activeness of the average American citizen. Tocqueville understood that America is designed to work best when her citizens are involved on the community level.